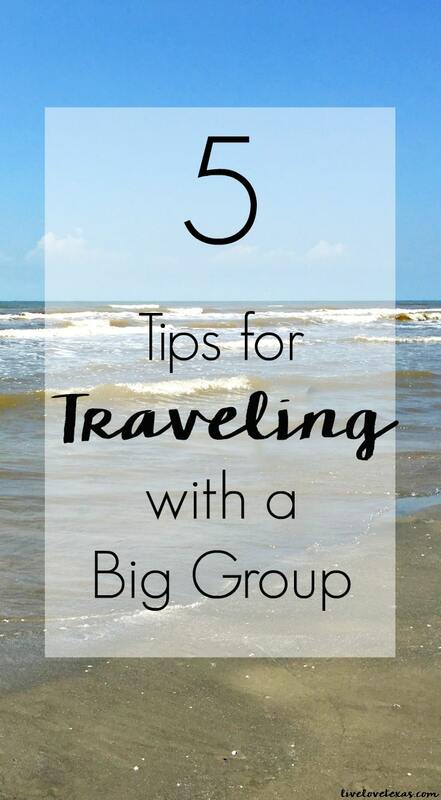 These 5 Tips for Traveling with a Big Group is sponsored, but as always, all opinions are my own. And just like that, our trips to the beach for the summer are now over. It doesn’t seem there’s ever a trip long enough for us. Whether we spend 11 days in Panama City Beach or 3 in Jamaica Beach, we always end each trip thinking the time went by way too quickly. How can a trip where you spend most of your time lounging about and relaxing go by faster than your day-to-day life? 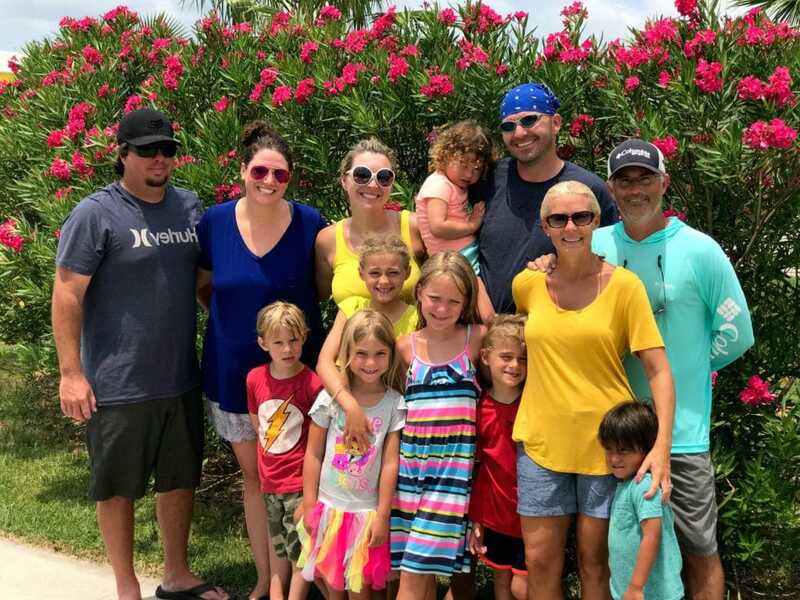 This is our third year traveling with friends down to the Texas coast in Jamaica Beach (outside of Galveston) and while the beaches don’t compare to Florida beaches, we always have such a fun time relaxing together with our families. It’s a close beach and a fun change of scenery for our families to get together and do life together. 2017 is the first time that we’ve had three families together all at once so it was even more fun but I’m sure you can imagine all of the coordinating that has to take place when you have three families with a combined seven kids between 3 and 9 in the mix. But I learned a lot this trip and have some tips for traveling with a big group to share with you today. 1. Choose your traveling buddies wisely. I love my friends. I really do. But after years of traveling with friends, I’ve realized that your companions can make or break your experience. Sure you get along when hanging out or going out to eat, but you see a different side of someone by traveling with them and spending long periods of time together. Especially if you share a rental with them. Be prepared that you may not be compatible traveling buddies. 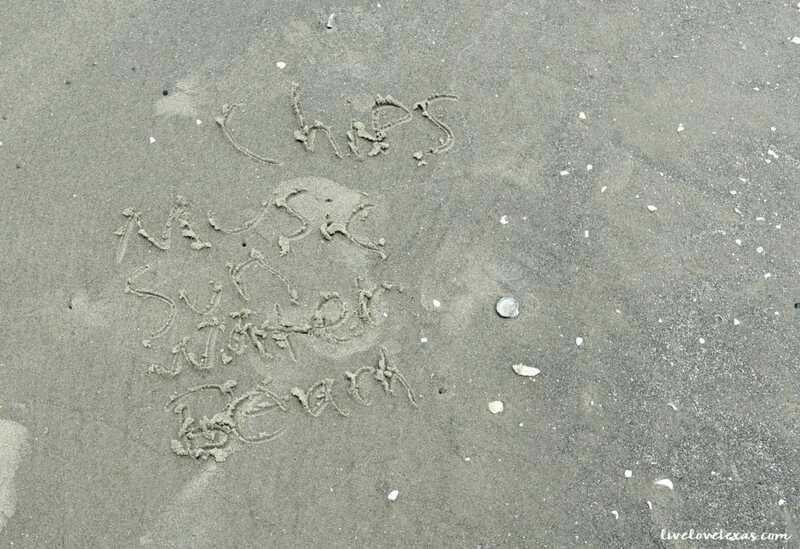 If your friends are go go go and you’re a sit on the beach and enjoy the scenery kind of traveler, you are incompatible. That’s not to say that you can’t travel together, but if you do schedule time for both of you to do your own thing so you can both get what you what you each need out of the trip. 2. Schedule downtime. This is probably one of the biggest tips for traveling with a big group that often gets overlooked. Even before having kids, my husband and I needed downtime during the day to just relax while on vacation. When the girls were younger this often translated into nap time (and usually still does for me), but just a break from the heat and sun to cool off and recharge is so necessary especially when you’re probably on a vacation schedule where bedtimes go out the window. 4. Limit eating out to once a day. Anyone that’s gone out to eat to celebrate a special occasion with a large group knows how stressful it can be to get seated quickly and altogether. Take that stress and then relocate it to a touristy area where tons of people are traveling in large groups and it only gets trickier. By cooking at your rental (even better if each family takes turns cooking a meal), you reduce your expenses and stress. Imagine trying to get a table for 13 during dinnertime pretty much anywhere that’s kid-friendly during peak hours and the amount of coordination and patience it’s going to take. You’re better off having an early lunch and getting there right when a restaurant opens or grabbing an early dinner to avoid the wait. 5. Load up on snacks before you leave. I’ve mentioned it before on the blog and since it happens to parents pretty much any time you leave the house, it warrants saying again. Have lots of snacks on hand before you leave on any trip. You’ll need snacks for the car, snacks when you get there, and snacks for the return trip. 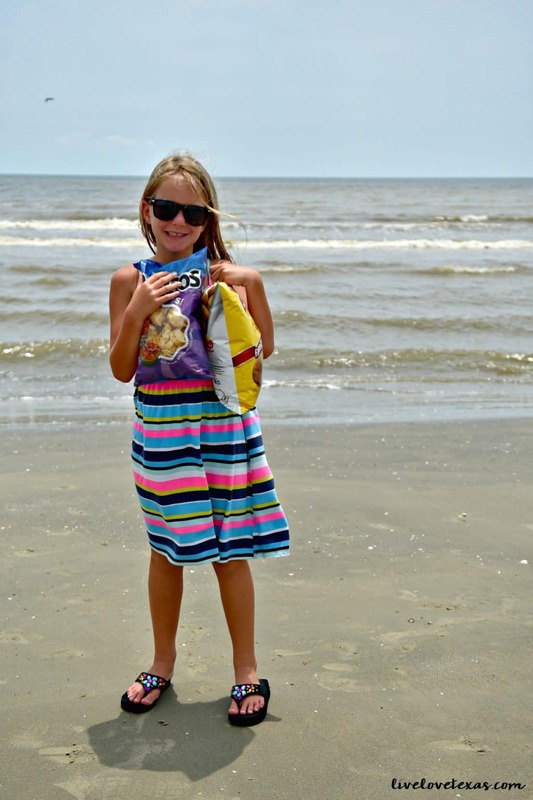 My girls could just snack their way through an entire vacation if I let them as evidenced by Brady’s beach day essentials list above (chips, music, sun, water, beach)! But snacking isn’t just for kids. If you’ve ever been around me when I haven’t eaten in awhile, then you’ve seen a whole other side of me. Since I was a teenager, I get downright hangry when my blood sugar drops so I have to have something to snack on to avoid this. Before heading out to the coast, I shopped here in Austin to get the snacks we needed to fuel up from our beach adventure! 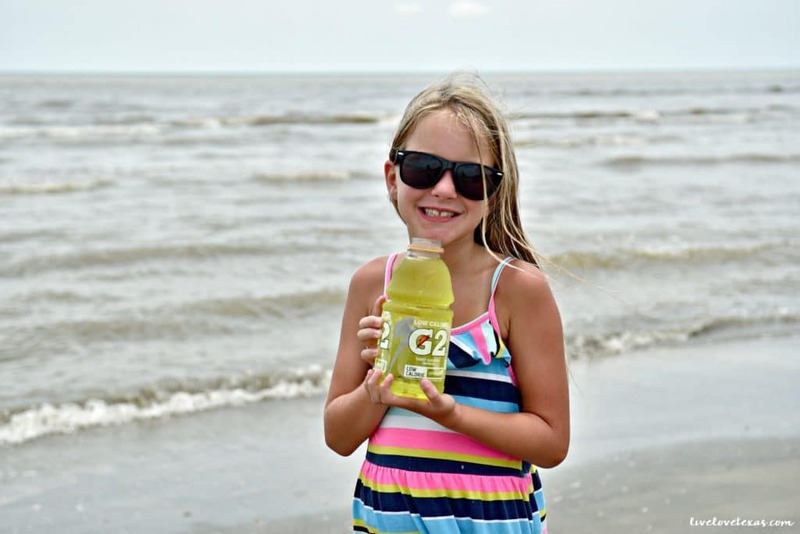 Snacks like Lay’s Classic Potato Chips and Tostitos Scoops are great snacks that everyone in the group can enjoy and Gatorade G2 Lemon Lime and Aquafina bottled water ensure our group stays hydrated on the road and on the beach. 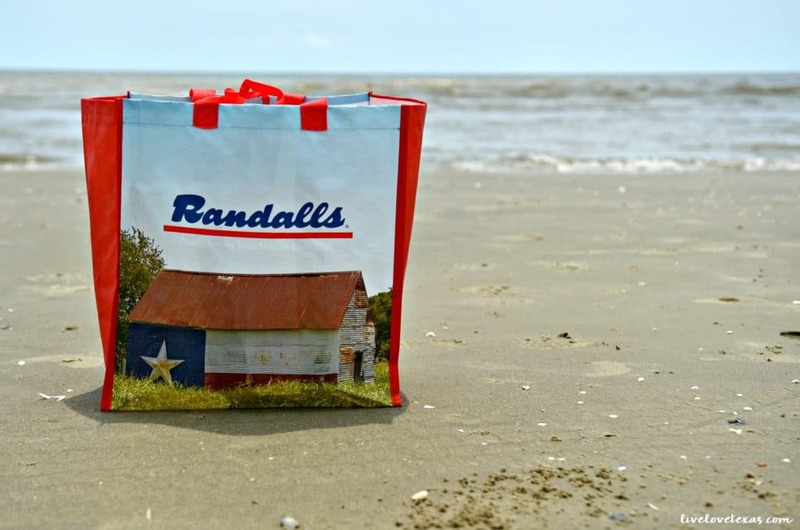 Through August 17th, Albertsons, Randalls and Tom Thumb are helping you fuel up your summer adventure by offering a $500 grocery gift card during the Albertsons/Randalls/Tom Thumb Anniversary Sale! Share the photo on Twitter or Instagram or the official sweepstakes entry page. Use #FuelURAdventure and don’t forget to tag your local store! That’s not all, during the Anniversary sale you can purchase the participating PepsiCo products below and earn 4x Gas Rewards Points to fuel your summer adventure. For official rules and more details, visit the official sweepstakes entry page. Do you have any tips for traveling with a big group? I’d love for you to share them with me! This post is a sponsored conversation written by me on behalf of Albertsons, Tom Thumb and Randalls. The opinions and text are all mine.